A sari or saree or sari is a female garment in the Indian Subcontinent. A sari is a strip of unstitched cloth, ranging from 5.30 to nine meters in length that is draped over the body in various styles. The most common style is for the sari to be wrapped around the waist, with one end then draped over the shoulder baring the midriff. The sari is usually worn over a petticoat (pavada/pavadai in the south, and shaya in eastern India), with a blouse known as a choli or ravika forming the upper garment. The choli has short sleeves and a low neck and is usually cropped, and as such is particularly well-suited for wear in the sultry South Asian summers. Cholis may be "backless" or of a halter neck style or regular one. These are usually dressier with a lot of embellishments such as mirrors or embroidery and may be worn on special occasions. Women in the armed forces, when wearing a sari uniform, don a half-sleeve shirt tucked in at the waist. The saree was born in both South and North India and is now a symbol for all of India. The word 'sari' evolved from the Prakrit word 'sattika' as mentioned in earliest Jain and Buddhist literature. The Indian Sari, believe it or not, is more than 5000 years old! It was first mentioned in Rig Veda, the oldest surviving literature of the world, written somewhere around 3000 BC. The Sari, originally intended both for men and women, is probably the longest incessantly worn dress in the history of mankind. The earliest known depiction of the saree in the Indian subcontinent is the statue of an Indus valley priest wearing a drape. It is popular in India, Bangladesh, Nepal, Sri Lanka, Bhutan, Burma, and Malaysia. Ancient Tamil poetry, such as the Silappadhikaram and the Kadambari by Banabhatta, describes women in exquisite drapery or saree. In ancient Indian tradition and the Natya Shastra (an ancient Indian treatise describing ancient dance and costumes), the navel of the Supreme Being is considered to be the source of life and creativity, hence the midriff is to be left bare by the saree. Some costume historians believe that the men's dhoti, which is the oldest Indian draped garment, is the forerunner of the sari. They say that until the 14th century, the dhoti was worn by both men and women. Sculptures from the Gandhara, Mathura and Gupta schools (1st-6th century AD) show goddesses and dancers wearing what appears to be a dhoti wrap, in the "fishtail" version which covers the legs loosely and then flows into a long, decorative drape in front of the legs. No bodices are shown. Other sources say that everyday costume consisted of a dhoti or lungi (sarong), combined with a breast band and a veil or wrap that could be used to cover the upper body or head. The two-piece Kerala mundum neryathum (mundu, a dhoti or sarong, neryath, a shawl, in Malayalam) is a survival of ancient Indian clothing styles, the one-piece sari is a modern innovation, created by combining the two pieces of the mundum neryathum. It is generally accepted that wrapped sari-like garments, shawls, and veils have been worn by Indian women for a long time, and that they have been worn in their current form for hundreds of years. One point of particular controversy is the history of the choli, or sari blouse, and the petticoat. Some researchers state that these were unknown before the British arrived in India, and that they were introduced to satisfy Victorian ideas of modesty. Previously, women only wore one draped cloth and casually exposed the upper body and breasts. Other historians point to much textual and artistic evidence for various forms of breast band and upper-body shawl. 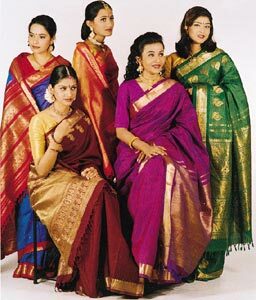 In Kerala and Tamil Nadu, it is indeed documented that women from many communities wore only the sari and exposed the upper part of the body till the 20th century. Poetic references from works like Shilappadikaram indicate that during the sangam period in ancient Tamil Nadu, a single piece of clothing served as both lower garment and head covering, leaving the bosom and midriff completely uncovered. In Kerala there are many references to women being bare-breasted. Even today, women in some rural areas do not wear cholis. The most common style is for the sari to be wrapped around the waist, with the loose end of the drape worn over the shoulder, baring the stomach. However, the sari can be draped in several different styles, though some styles do require a sari of a particular length or form. The French cultural anthropologist and sari researcher, Chantal Boulanger, categorizes sari drapes in the following families. The most common style is for the sari to be wrapped around the waist, with the loose end of the drape worn over the shoulder, baring the stomach. However, the sari can be draped in several different styles, though some styles do require a sari of a particular length or form. Salwar Studio : Salwar Studio Buy online Salwars, Tunics, Sarees, Accessories, Designer Blouses, Salwar Kameez, Jewellery, Latest Fashion Leather Products etc. 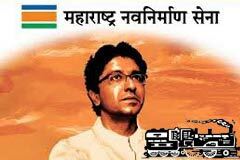 Copyright � 2008 IndiaJunction.co.in. All Rights Reserved.